The Art Lovers live in a city where activity has almost vanished and the pursuit of virtual experiences dominates. But Drake, the Lovers’ leader, is outgrowing this unreal world. He is looking to punch a hole in its atmosphere. What he will create in order to do so will bring a new surge of life to a society that is winding down – and propel him into another world. 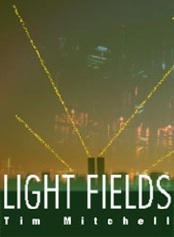 A futuristic novel in every sense – in language, setting and structure – Light Fields tells an original story of 3D love and art terrorism. 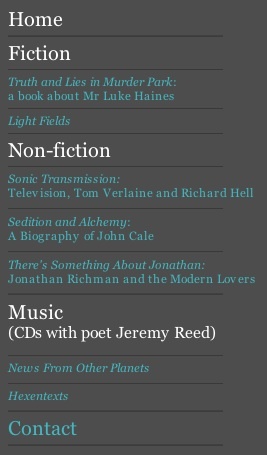 Light Fields was originally published as an ‘e-novel’. A revised paperback edition is planned for 2013.